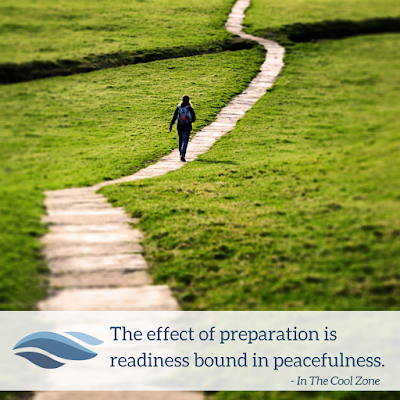 Peacefulness is a fruit that comes from preparation that makes one ready, and is an indicator that the disciple is, in fact, ready to be sent. In the case of putting on the armor of God, we see disciples who have become ready through their understanding of peace and sent to deliver the message of the Gospel. How do I put on peace? Maybe it is better to ask, "how do I grow in peacefulness?" Peace is a fruit of the Spirit. That is the only place it comes from. Peace is a natural part or our new make up and is in us in an unlimited quantity. Yet, much like a new tool or skill, it is designed to perform a certain function, and the user must be trained to use it, and eventually master it. This piece of armor comes with instructions and informs us how to equip peace... which is through our preparation! We can also look at this scripture in light of self-management. Patiently correct, rebuke, and encourage ourselves with good teaching. Specifically, get an understanding of peace, what it is, where is comes from, how it works and how to grow in it. There is no expectation that we can bear the load of every command the Lord gives us all at once. It is important to have a mindset of growing into the commands. We want to start with the small things and work our way up to the bigger things. Actually, a quality hiking boot may be the better analogy as the one who is ready, will most certainly be sent and that sounds like a lot of walking. So, How are You Preparing? Here is the best place to start! Get your prayer list in order and hit it daily. Read your scriptures daily. Connect with other Christians. Seek out a trusted person who can work in a discipleship relationship with you. If you are not sure where to start or just simply need help with your next steps please, take a quick read of the following resources and do them. 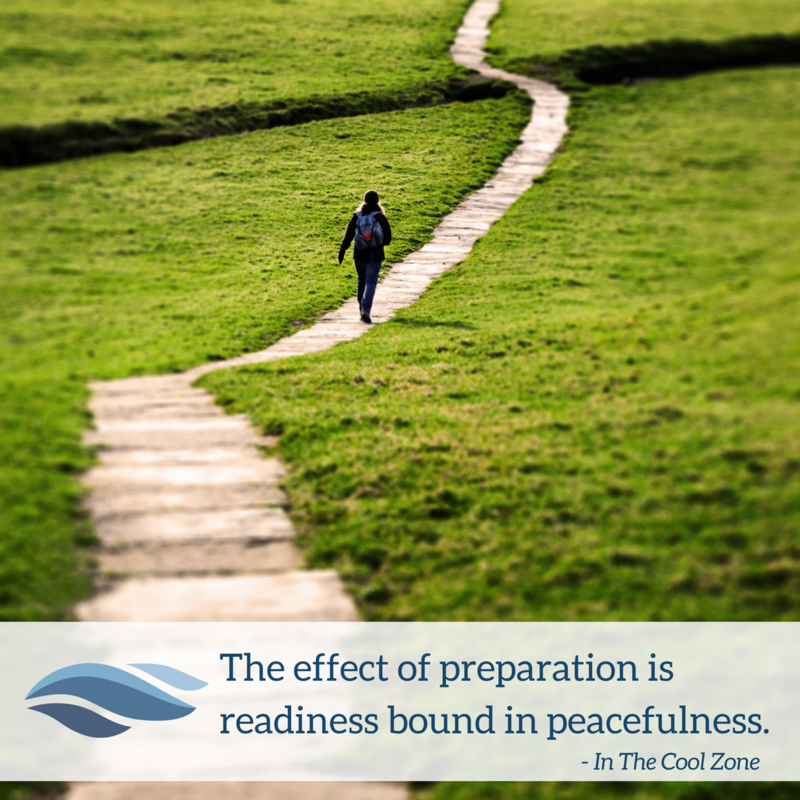 In The Cool Zone is designed for the Christian who may know a lot of scripture or they may know very little scripture but are finding that their walk is not where they think it should be.